Until June 2017, permit prices were broadly similar: $750 per gorilla track in Rwanda and $600 per track in Uganda. However, in June 2017, the Rwanda Development Board decided to raise their gorilla tracking permit price to $1,500 per track. This was on the basis of funding conservation and supporting people living in gorilla areas. 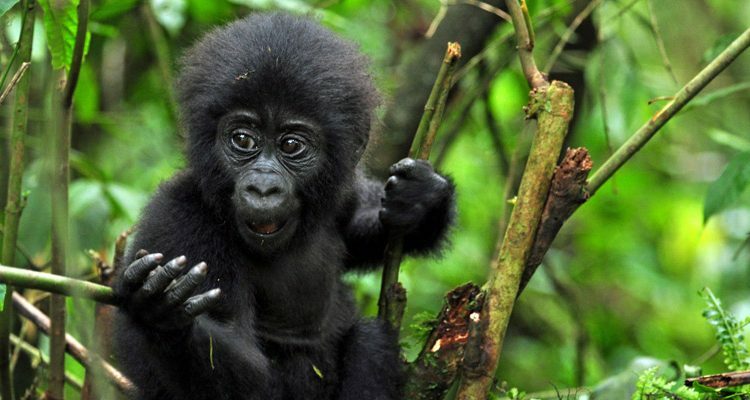 The Uganda Wildlife Authority immediately responded to say they were keeping their permit prices at $600 per gorilla track throughout 2017 and 2018 at least (with a low season reduction to $450 for November 2017). 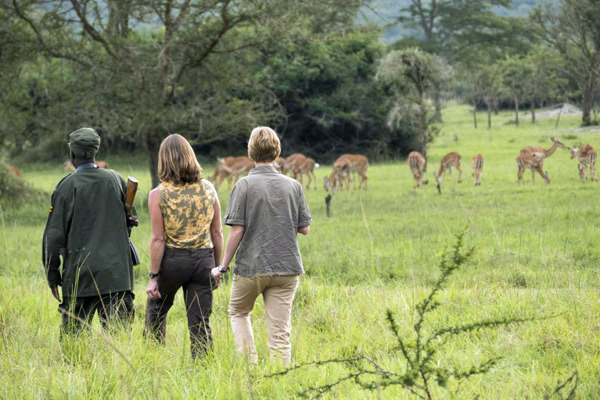 However, it does significantly affect the cost, particularly when two gorilla tracking permits are recommended for most clients to make the best of their holiday. Both Rwanda and Uganda offer a variety of family groups to track. 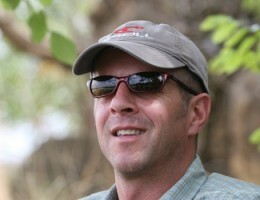 Although it’s not possible to request a specific group to track, park rangers will try to take into consideration the likely length and degree of difficulty of the hike when allocating trackers to the various family groups. In both countries, groups meet at the park headquarters for a briefing at around 7.30 am. From here trackers are driven to the appropriate trail head for the start of the track. Maximum group size is eight people. 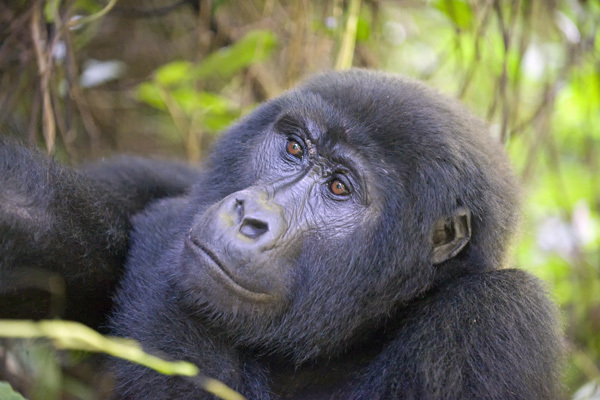 Generally the gorillas are fairly sedentary, moving around 1 km a day. This means the initial part of the track is based on the previous days’ movements and is often fairly predictable. The gorilla family’s movements will be noted by advance trackers in order to make the track as direct as possible. Both countries offer a good selection of top end accommodation. Tracking is in Volcanoes National Park which is an easy three hour drive from the international airport in the capital Kigali. If you are short of time, this is probably the better destination. 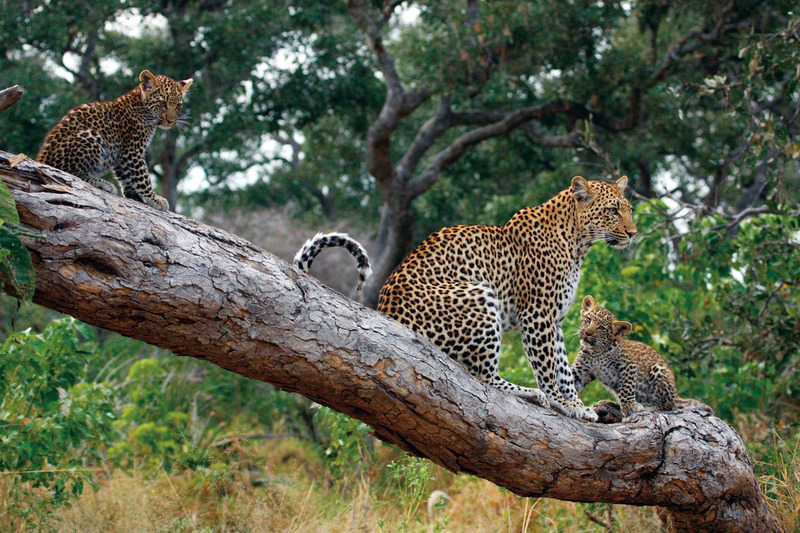 There are currently ten habituated family groups here, ranging in size from around nine to 30 individuals. Tracking times are generally shorter in Rwanda as most of the habituated groups are within 30 minutes to two hours of the trail head. The exception is the Susa group whose range is higher and deeper into the mountains (though this group is arguably the most rewarding to visit with over 30 individuals). The vegetation in Rwanda tends to be thinner and less arduous to walk through which makes the walking slightly easier than in Uganda. The terrain is not quite as steep as that found in the gorilla habitat in Uganda. Tracking altitude is around 2,500 to 3,000 metres. 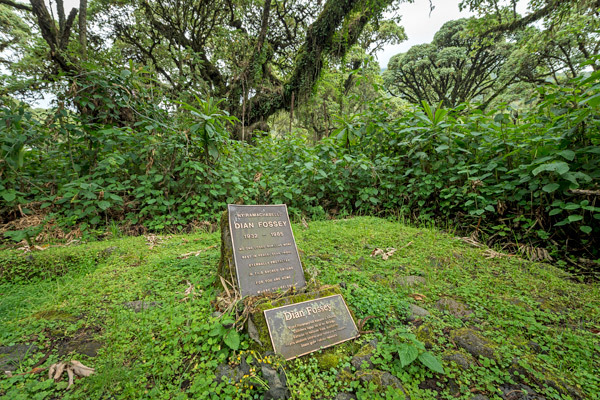 Volcanoes National Park is where Dian Fossey – widely credited with saving gorillas from extinction by bringing their plight to the international community – carried out her research. It’s possible to visit her grave and the Karisoke Centre she established in 1967. 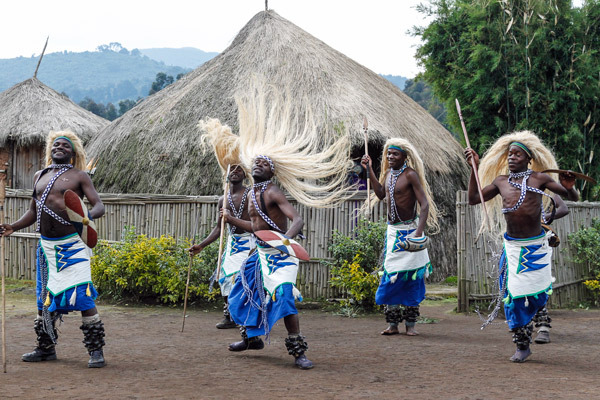 Other activities possible in Rwanda include tracking golden monkeys, nature walks, climbing volcanoes, mountain biking, birding in Nyungwe Forest, meeting the In Tore people, visits to the Iby’Iwacu cultural village, walking in the Buhanga Sacred Forest, and visiting the Musanze Caves. Time permitting, the genocide memorial in Kigali is well worth a visit. It’s possible to track mountain gorillas in two areas in Uganda; Bwindi Impenetrable Forest and Mgahinga National Park. 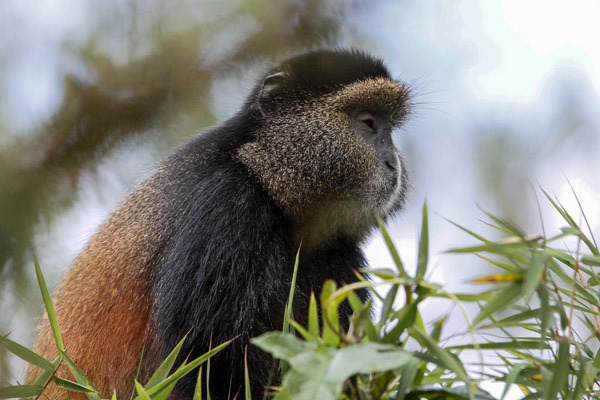 There are 11 habituated families in Bwindi (as well as three semi-habituated groups) and just one in Mgahiga which is the Uganda section of the Virunga Mountain range. Bwindi is around six to eight hours’ drive (or a shorter light aircraft flight) from the capital Kampala and tracking takes place from four different locations. 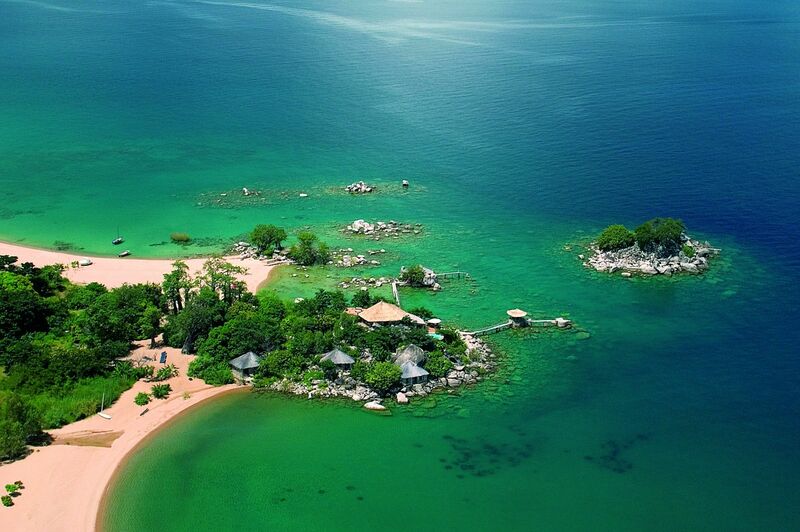 Buhoma in the northwest has access to the most groups (and top end visitor accommodation). It is also the easiest to reach from Kampala. 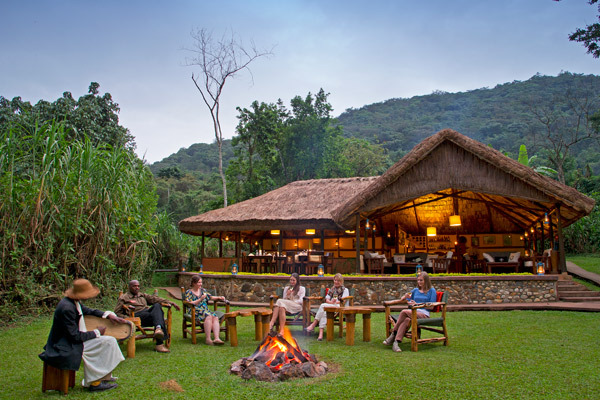 Nukuringo to the southwest also has good choice accommodation and a large group comprising 19 individuals to track. The Ruhija area has one family and the Rushaga offers two habituated groups. The lush rainforest vegetation in Bwindi is denser than the bamboo forests in Rwanda which can make walking arduous at certain times of the year. Tracking in Bwindi is at an altitude of around 1,400 to 2,000 metres, so slightly lower than in Rwanda. 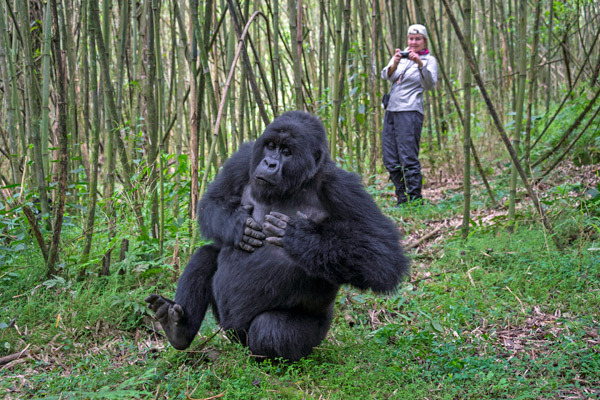 Mgahinga Gorilla National Park is home to one group of habituated gorillas, as well as habituated golden monkeys and spectacular volcanic scenery. 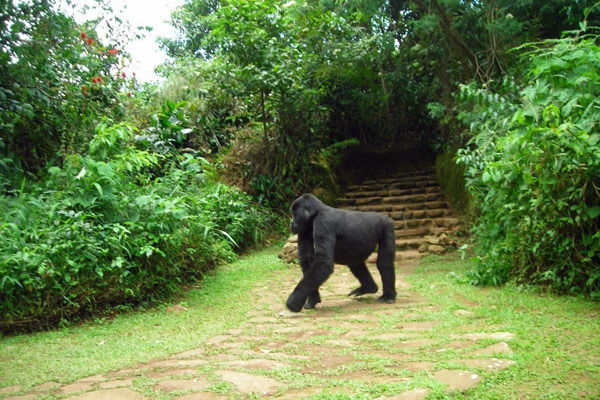 The gorillas here tend to move between Uganda, Rwanda and Congo so tracking is less certain than in other areas. 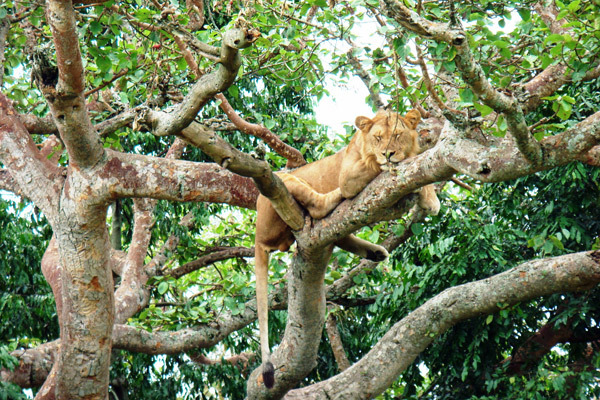 Uganda offers more choice for general wildlife viewing so is arguably a more complete safari destination. 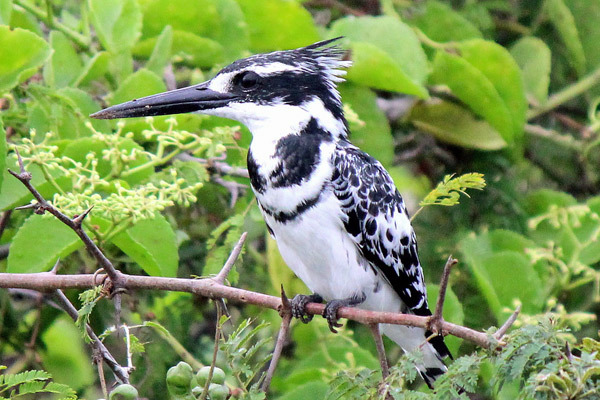 Other activities possible in Uganda include excellent birding and wildlife viewing in Ishasha, Kyambura, Kibale, Murchison Falls, Semliki and Lake Mburo. 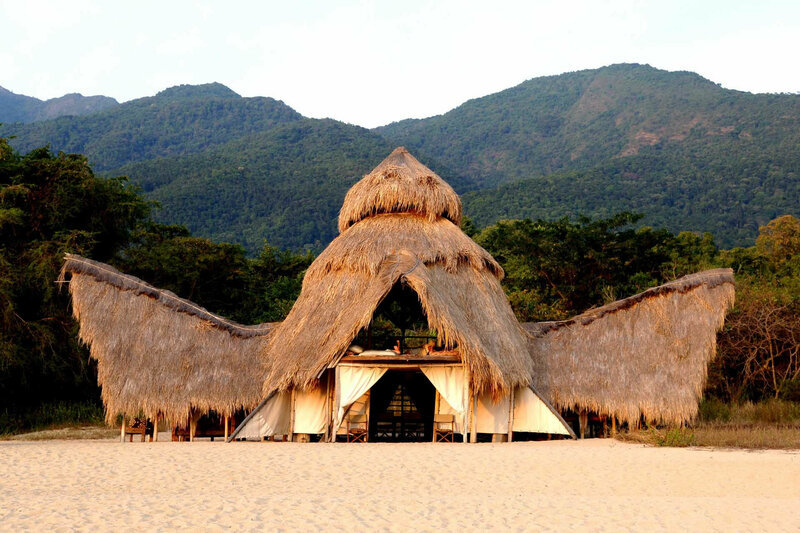 It’s possible to arrange cultural visits to the indigenous pygmy tribes, guided forest walks, volcano climbing, and dugout canoe trips on Lake Mutanda. Any questions on gorilla tracking?